Caffeine is a main ingredient in many peoples diet in today’s world. Most people who work a morning or night shift need a pick-me-up to be able to make it through a work day, but should limit there intake to only a few cups of coffee per day. It is also becoming extremely popular to take pre-workout supplements in which many contain high concentrations of caffeine, much more than the recommended daily dose. This article is correct on the fact that caffeine can have good health effects if taken in moderation and not everyday. As long as you do not use it so much that you have withdrawals when you are not being stimulated by a rush of caffeine. 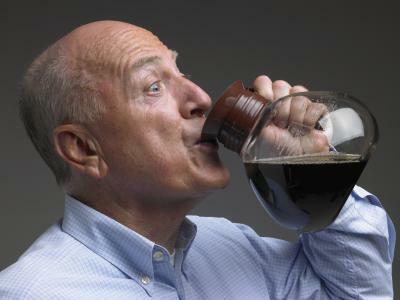 Some people, such as those with ADHD, may need some sort of caffeine in order to cope with their disease and research has shown for it to also have preventable effects on diseases such as stroke. There is a common misconception that by consuming caffeine daily you will lose more weight. This may be somewhat true, however when a person stops taking so much caffeine their metabolism has the potential to slow down and weight gain may begin. Also the fact that caffeine raises a persons level of cortisol (stress hormone) it would actually add to the possibility of weight gain. In conclusion, caffeine is a drug and must be used in moderation and with the recommended dosage to avoid ill effects. When properly used, caffeine can help someone stay more alert and focused or even more active for a longer time period while also helping lower your risk of catastrophes that could occur later in your life.